I've got four partitions on this laptop: a hidden fat32 OEM-supplied Windows XP recovery partition, a SWAP partition, a root partition and a home partition. 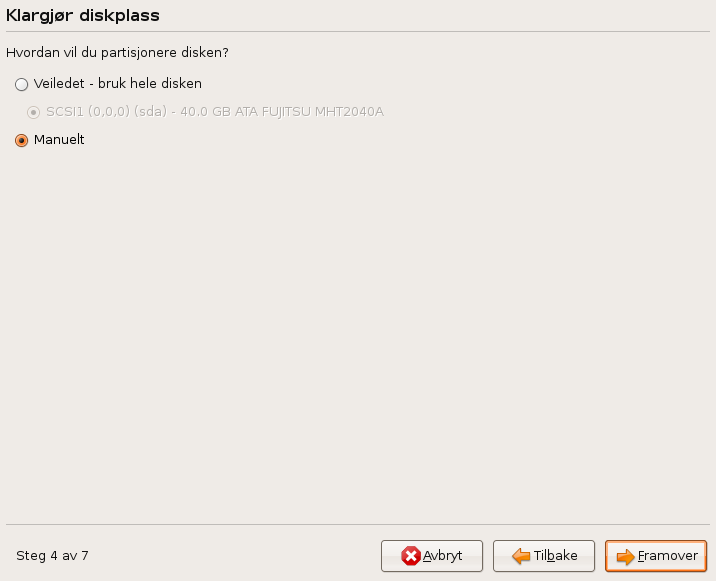 I got two choices in the partition section of the installer; use the whole disk or manual. I chose manual mode. (screenshot 1) I didn't want the XP partition mounted or formatted, so I left it like it was - and removed the suggested mounting path. I chose to format the root partition. I wanted to keep the user, so I only chose to mount the home partition on /home and left it without formatting it. (screenshot 2) Then I clicked next. The import user section told me there were no users to import. The import case should be easy, since the home partition isn't formatted. You could even let the user be imported directly, keeping the password and the group membership for default groups by parsing a couple of files in the old /etc before formatting the root partition. At least, the user's data should be importable without any doubt. I will continue the install, then upload the installer logs. Triaged to Incomplete. 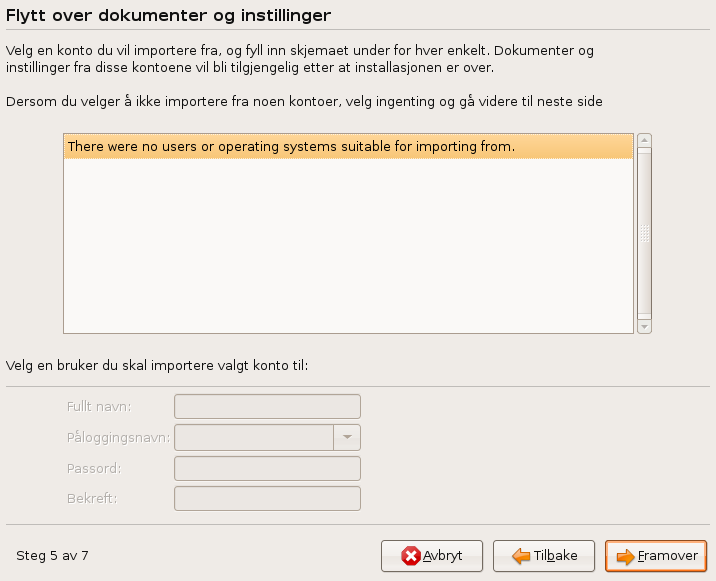 I was under the impression that the Migration Assistant only worked for moving Window's users data over to Ubuntu. Any users created under /home would still exist, but they would not be imported with Migration Assistant. Since the Windows partition was removed as a mount point, the Migration Assistant didn't find any users to import. This is normal behavior. Perhaps an ubiquity dialog can explain how Migration Assistant is supposed to work. Changed to triaged, importance medium. Just upgraded to Karmic. I kept both my Windows 7 partition on my new computer and my home paritiion from Jaunty. No luck finding any users at all to import.